Spoken by almost the whole of India and the 3rd most spoken language in the world, Hindi plays a significant role as a language in the world today. The official language of India and the second language in many other countries, this language is also awaiting its inclusion as one of the official languages of the United Nations. Unlike the olden days, Hindi is being given due recognition all over the world and people throughout the globe are showing interest in learning this language today. Hindi numbers have been used in most of the oldest Hindi records found in the country. Hindi alphabets are known as “Varnmaala” which is broadly characterized as Swar and Vyanjan.It is really important for people to learn the Hindi numbers so as to promote the language and for people to be able to communicate well. Hindi numbers are rooted way back in the past, but the exact time of emergence of these is still unknown to us. Many civilizations had cropped in India over time and this country has been ruled by many dynasties. With each dynasty, changes were made in the country in more than one aspect, language being one of them. Hindi, the most commonly spoken language in the country, kept changing with the changing times this country witnessed. Hindi numbers have been used in most of the oldest Hindi records found in the country and hence can be dated back to the times unknown, but have helped the people gain greater understanding of the concept of quantifying the objects and enabled them to add a value to things with and around them, making their lives simple. 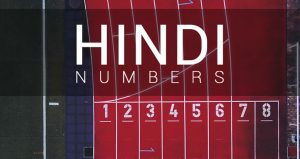 In Hindi Numbers, there are a set of two-digit numbers which are formed by using the above mentioned single digit numbers. Ten is the first two digit number and Hundred being the first three digit number. 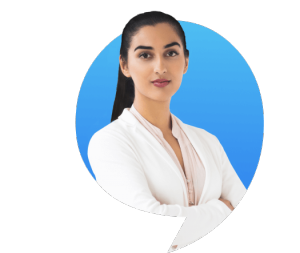 You can use our free learning app which helps you to come across a lot of different Hindi numbers and phrases which helps in improving your Hindi basics.